Update: We are at capacity for this ASIST and have a waiting list running. If you’d like to be added to the waiting list, please contact Carlye Higgins. 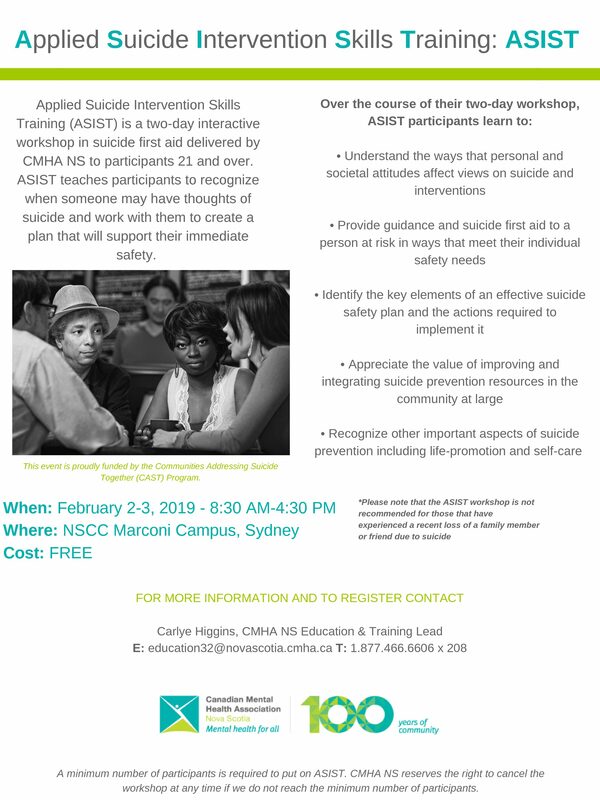 Applied Suicide Intervention Skills Training (ASIST) is a two-day interactive workshop in suicide first aid delivered by CMHA NS to participants 21 and over. ASIST teaches participants to recognize when someone may have thoughts of suicide and work with them to create a plan that will support their immediate safety.